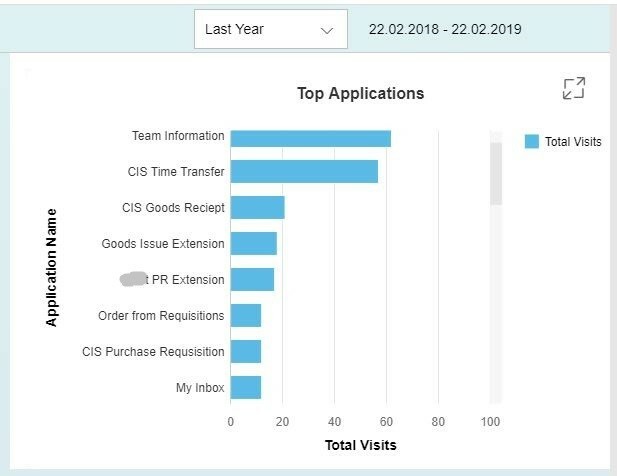 If you’ve ever wondered how your SAP Fiori applications are being used, now you’ll always know. Modernizing your business should never feel like a risky venture. 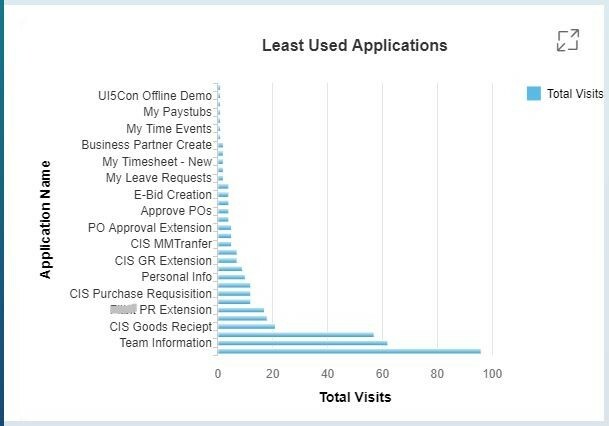 A lot of time and effort goes into an implementation, and the ability to identify how apps are being used (in a way that’s easy to understand) is critical to evaluating success. Based on SAP Fiori and UI5, this app doesn’t rely on Google Analytics, APIs, or any third-party cloud storage – just the existing SAP system for data storage. In addition to UI5 application tiles, it can track WebGUI, WebDynpro and external link tiles. It can work completely on-premise. It can work on SCP even if you have your Fiori Launchpad on SCP. The app uses SAP Fiori design principles, so it can be accessed on any device and as a tile on your Fiori Launchpad. Bonus: it can measure its own usage, too!